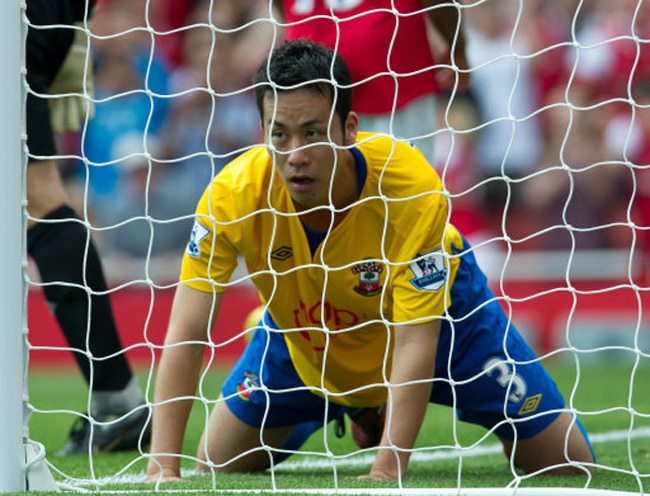 Nine years ago Southampton travelled to Arsenal only to go down by a 6-1 scoreline (courtesy of hat-tricks from Robert Pires and Jermaine Pennant) and that result was to be repeated at the Emirates today, as the home side continued their impressive start to the season. 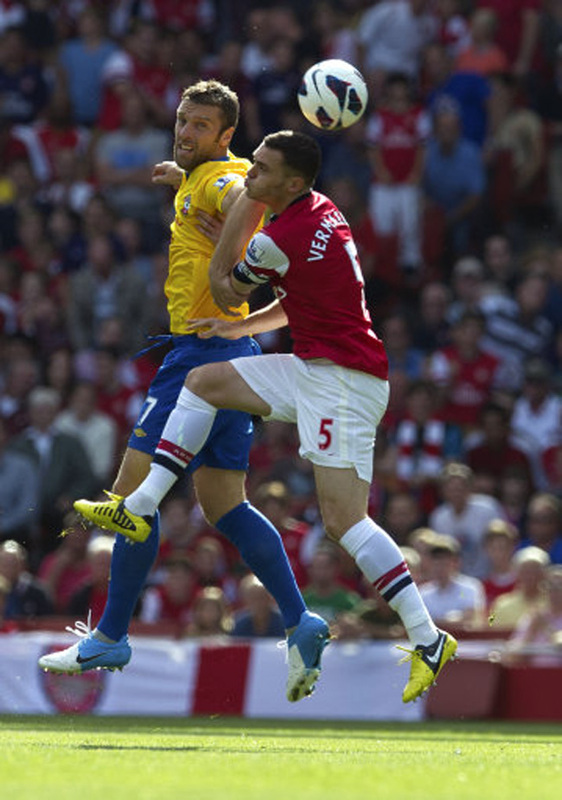 The first half saw the Gunners take total control with Santi Cazorla pulling the strings once again. 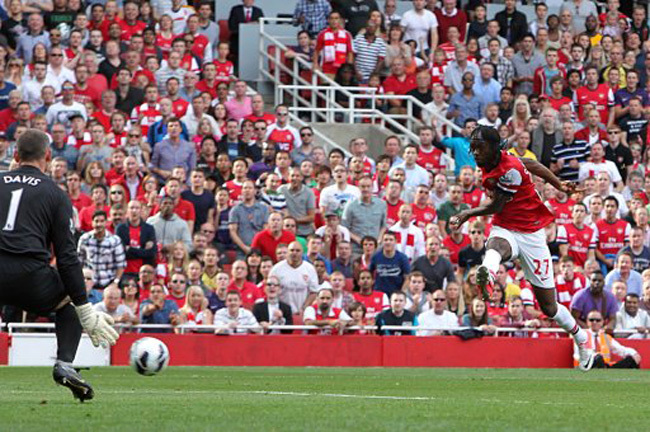 The Saints did concede a couple of unfortunate own-goals, but Lukas Podolski’s superb free-kick and Gervinho’s close-range strike were rewards for a superb first 45 from the Gunners. 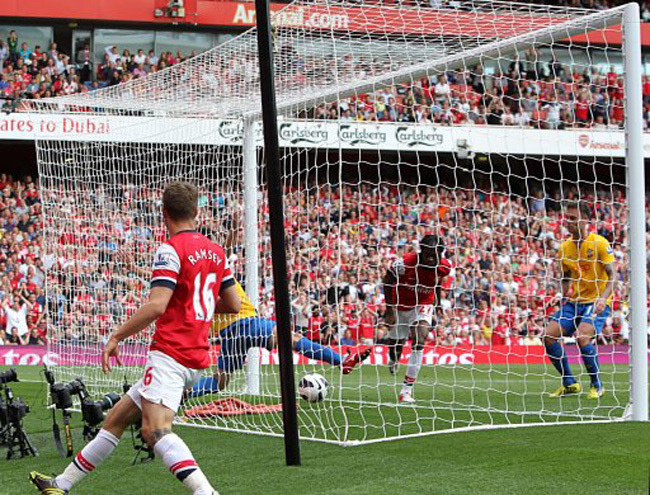 However, just before half-time Wojciech Szczesny ballsed up a simple catch, leaving Danny Fox to prod home to make it 4-1. 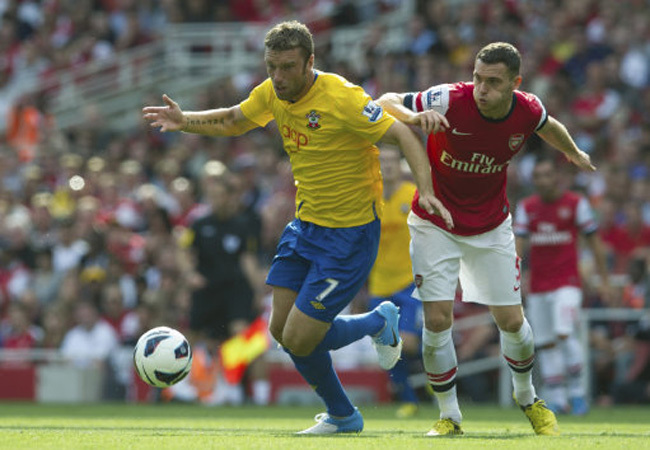 After the break, the Saints were a much better side, but they still failed to get another goal. 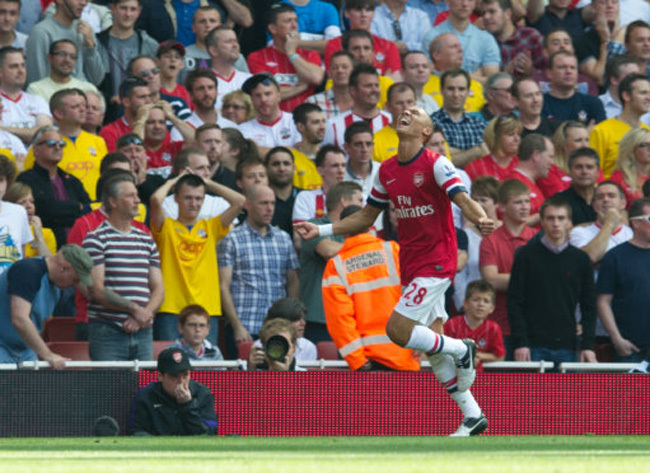 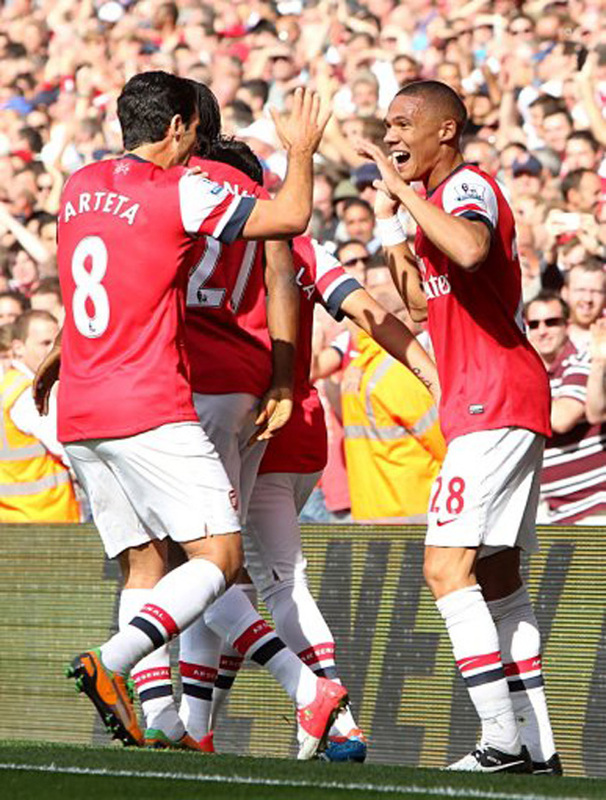 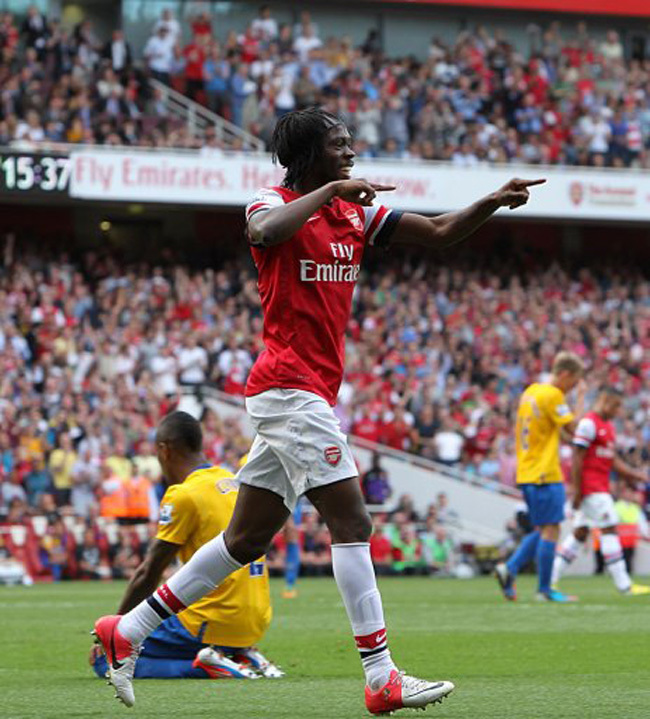 Indeed, Gervinho (after great work from Aaron Ramsey) and Theo Walcott put the Gunners further ahead. 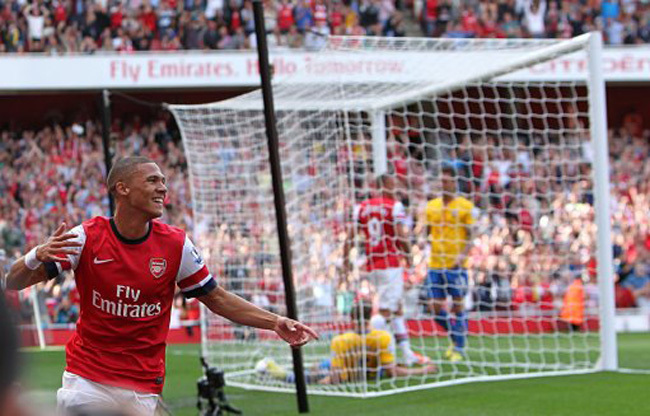 After a hideously difficult start to the season, Nigel Adkins’ side should start to get a few points on the board in the coming weeks while Arsene Wenger’s men are hinting at a serious title tilt.